Price is for a typical house roof, like a GI sheet roof, and no shading above the roof like trees, power lines, next door building, etc. with an accessible 30 amp home run to circuit breaker with earth ground already. What can a 1.5 kW system power? 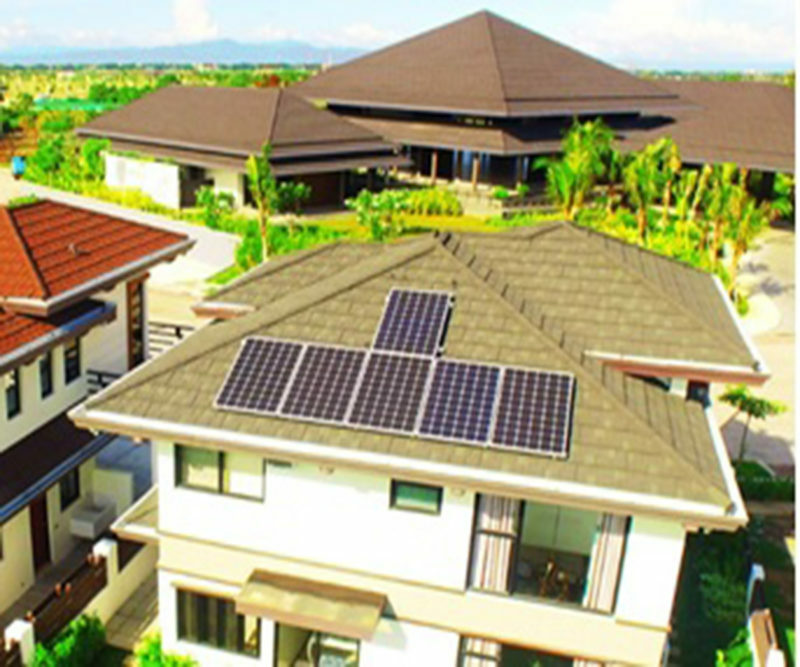 A 1.5kW system is recommended for homes with P6,000 to P10,000 monthly electric bills, or if a small air conditioner is run during the day, someone is always home, OR there are multiple fridges (even if nobody is home during the daytime). You will harvest an average of 6.75kWh of usable daytime power. • 6 units of JA Solar 270Wp Crystalline solar panels. • Installation included for 6 panels on your roof, wiring to inverter – includes up to 15 meters of wiring (enough for a normal roof). This is for easy rooftop access. • If your roof has a very steep pitch, or is a “complicated roof”, a survey needs to be done to give an estimate for installation. • 50% downpayment, 25% upon delivery & 25% upon energization. We usually have this in stock and can be on your roof within a week or so. • Installation takes a minimum of 1 entire day, sometimes 2 days. • Grid-tie inverter has a standard 5 year manufacturer’s warranty, extendable to 10 to 25 years. We can lend you a loaner inverter while waiting for manufacturer to repair or replace your unit if necessary, but this is rare. • Panels have a manufacturer’s warranty of 10 years (5 years of which we do a straight swap locally) and 25 year power output guarantee. Estimated de-rating of power is 10% on the 10th year and 20% on the 25th year. We can lend you a loaner panel if available while you wait for replacement.